I do not have adequate words to describe the bravery of Adnan bin Saidi. When the time comes to face the enemy, the inevitable question arises as to whether it’s worth the sacrifice. Many would weigh causes and odds when putting their lives at stake, but for some it’s the promise they have given and the sense of duty that has no price, even at the cost of their life. For Adnan bin Saidi there was no doubt when his time came. Everything was an option, except retreat. Adnan’s came from the Muslim Malayan people of Minangkabau, a matrilineal society primarily known for their honesty, education, and hard-working nature. In a family of three sisters and three brothers, Adnan was the oldest and naturally the most responsible. His family remembered him as a kind and sensible person, but also a man who respected discipline above everything. Following in the footsteps of his people, Adnan bin Saidi went on to become an educated man. He studied at the Pekan Sungei Ramal School, where he was one of the most diligent students. After completing his studies, he was retained as a trainee teacher. 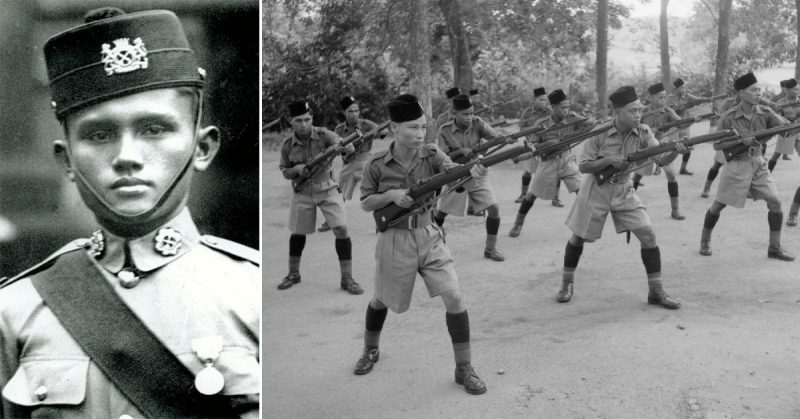 Even though he had a teaching career in front of him, Adnan left it all in 1933 to join the newly formed Malayan Regiment. At the time, he was 18 years old. Adnan Saidi. Historical Hero of Singapore. 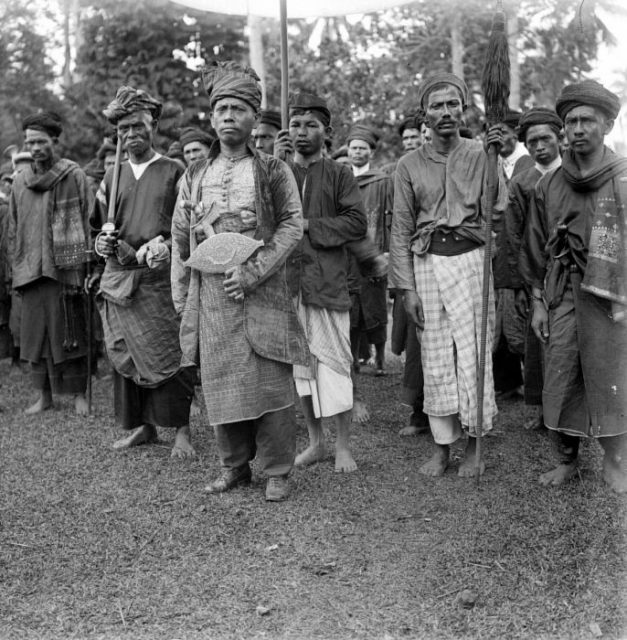 The Royal Malay Regiment, also known by locals as “Askar Melayu,” was formed on March 1, 1933. The Regiment was an “experimental” unit of 25 Malayans under the command of a British officer because the British were not sure whether Malayans, having an easy-going temperament, would accept strict army life and discipline. 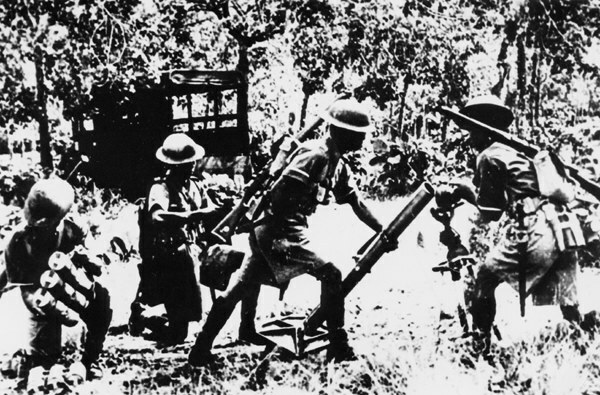 Even though the Malayans had no military tradition and were far from having the reputation of Gurkhas, they quickly proved themselves to be highly disciplined soldiers that the British Empire could rely on. The motto of the Regiment “Loyal and True” (Ta’at dan Setia) clearly showed what kind of men it contained. The Malay Regiment soldiers with mortar. Photo: IWM. As the incorporation of Malayans into the army appeared to be quite successful, the unit began recruiting more and more locals. The experimental unit soon became a regiment, and in 1939 it was expanded to the size of a battalion. Just before the United States entered the war in December 1941, two battalions formed the 1st Malaya Brigade. It wasn’t long after the unit was formed that the first Malayans became NCOs and it was no wonder that Adnan bin Saidi was the first Malayan NCO. Having been in the unit from the very beginning and being the best recruit, Adnan was promoted to the rank of sergeant in 1936. Royal Malay Regiment infantry with their mortar. Even as a young man in his early 20s, his credibility in the unit was huge. In 1937, he was chosen to represent his platoon at the London military parade in honor of King George VI’s accession to the throne. This event strengthened the sense of duty Adnan felt toward his military service. Around that time, Adnan also married Sofiah Fakir. She was a teacher in his home village of Kajang. They went on to have two sons and a daughter. As time passed, Adnan’s military career was progressing well and he earned another promotion to company sergeant major in 1938. The following year, he was sent on an officer’s course. After completing the course, Adnan became a second-lieutenant and got transferred to Singapore. 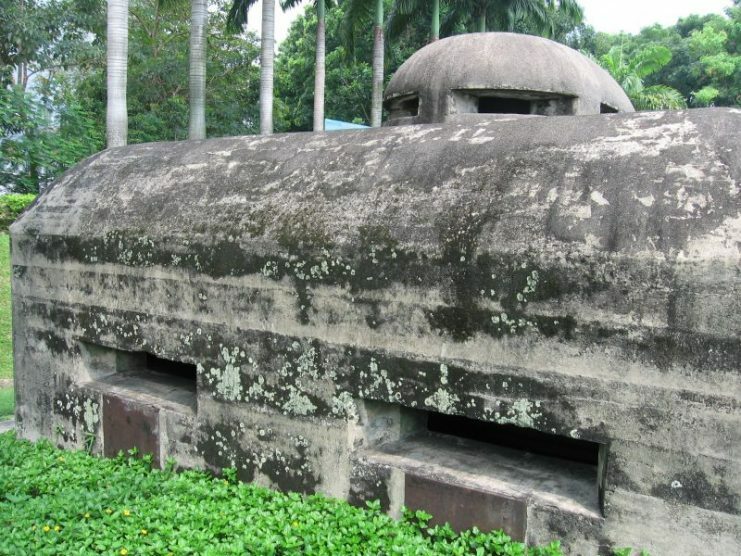 Pasir Panjang Machine-Gun Pillbox, Singapore. In 1941, Adnan, his wife, and two sons moved to Singapore’s residential area of Pasir Panjang. This small village was reserved for the families of the Malaya Regiment officers and NCOs. It proved to be the landmark of Adnan’s life. Just one day after Japan attacked Pearl Harbor on December 7, 1941, the Japanese 25thArmy attacked British Malaya from land, air, and sea. The British defense in Malaya was incapable of resisting the Japanese invasion. 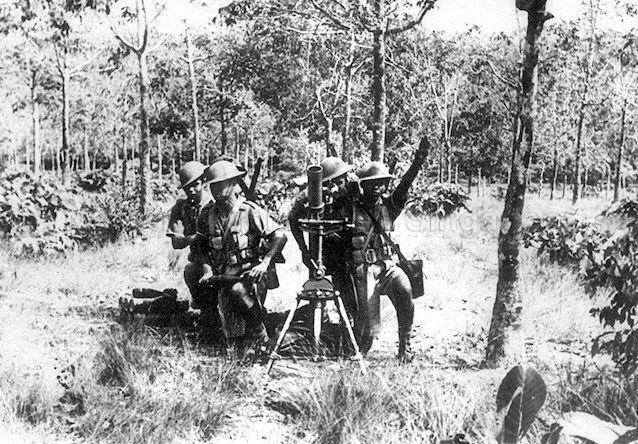 Despite the brave stand-off, British, Australian, Indian, and Malayan troops found themselves failing against the Japanese army. 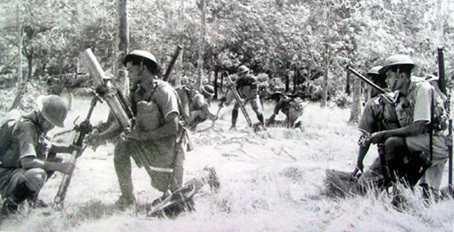 Malayan infantry operating their 3 inch mortars. The Japanese held the advantage in terms of artillery, armored units, vessels, and airplanes. 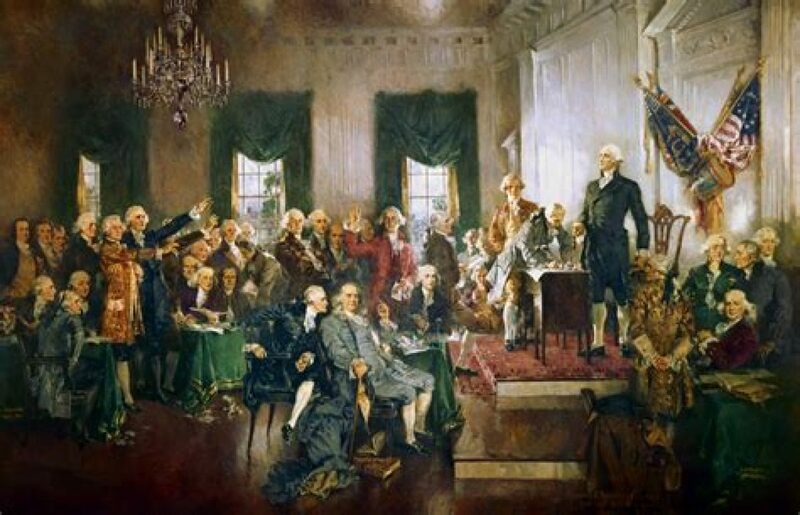 They exploited every single opportunity afforded to them by the poorly organized British defense of the peninsula. 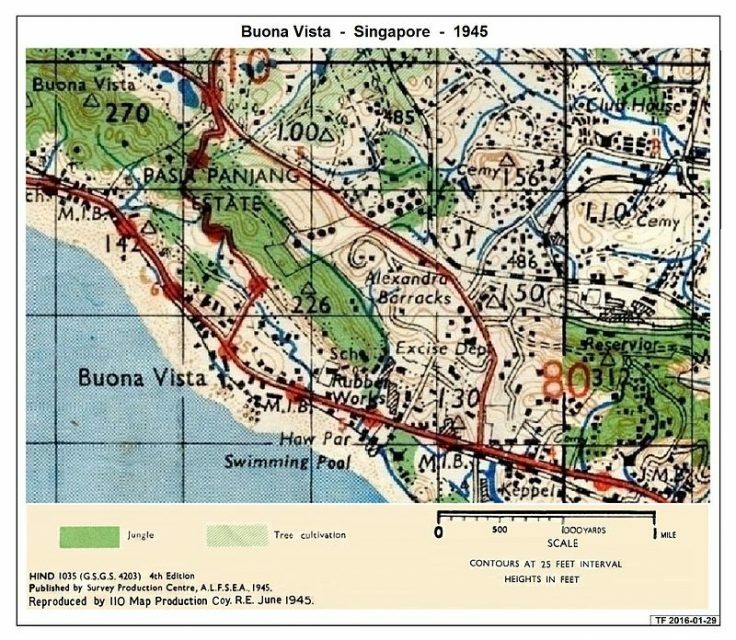 After conquering the Island of Penang on December 17, Kuala Lumpur on January 11, 1942, and defeating Allied troops at the Battle of Muar, Japanese soldiers had an open road toward the last stronghold of the Malaya: the city of Singapore. As the Japanese were approaching Singapore, Adnan felt that the last battle was near. He sent his pregnant wife and two sons back to Kajang. These were the final moments Adnan spent with his family. 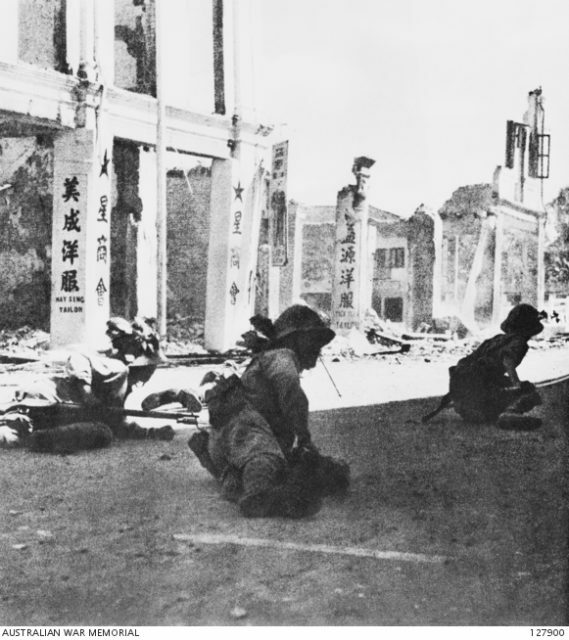 On February 8, Japanese troops began landing on the north-western coast of Singapore. The initial blow was taken by the Australian 22nd Brigade, who just couldn’t withstand the superior numbers of the Japanese troops. After crushing Australian resistance in the north, the Japanese believed that the job was done and that they would walk inro Singapore. In less than a week, they were at the city’s gates. 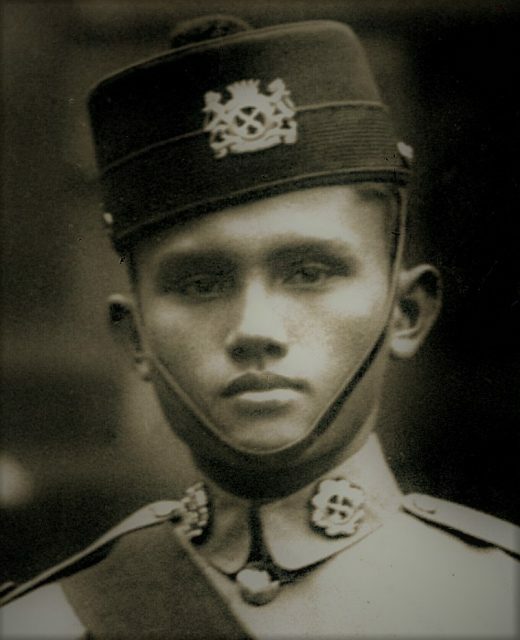 Adnan bin Saidi and the rest of the 1st Malaya Brigade were deployed to the Pasir Panjang Ridge, protecting the western approach to the city. He and 300 soldiers of the 1st Battalion took positions on Bukit Chandu, commonly known as “Opium Hill” after the old opium plant. It was the same area where Adnan had lived with his family. It was also a strategic point overlooking the entire city and was, therefore, to be protected at all costs. Adnan’s C Company was at the front line of defense. The commander, Captain Harry Rodway Rix, gathered his men before battle. He told them that there would be no retreat and that they must defend the hill to the last man. For someone like Adnan, these words were binding. There was no life for him beyond that hill. Japanese troops final stages to conquest Singapore. On February 13, C Company faced the arrival of the elite Japanese 18th “Chrysanthemum” Division. The Japanese attack began with heavy artillery and mortar fire, which was then followed by a human wave attack. Adnan and his platoon of 42 men fortified themselves in nearby bungalows. Armed only with Lee-Enfield rifles, a few Bren machine guns, and a handful of ammunition and grenades, they repelled every Japanese attempt to seize their position. Frustrated that a few soldiers were holding up their advance, the Japanese resorted at one point to trickery. They dressed up as Punjabi soldiers and attempted to fool Adnan into believing that reinforcements were coming. 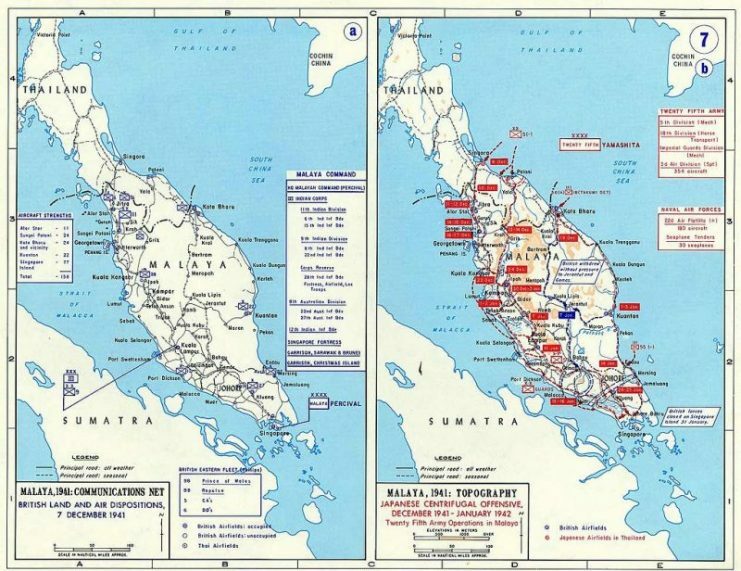 Pacific War – Malaya 1941-42. However, their effort was futile as Adnan saw through their disguise. He knew that Punjabi soldiers always marched in columns of four, while the disguised Japanese were advancing in columns of three. He opened fire on them with a Bren gun. His platoon managed to kill several soldiers and forced the others to retreat. For the rest of that day and the following day, Adnan and his platoon fought off Japanese attacks. When they had spent all of their ammunition, they started to use grenades. The Japanese persisted and charged under the shower of grenades, but Adnan and his men were still determined to fight to the end. When the grenades ran out, bayonets were used to fight waves of Japanese soldiers. Even with his arm badly wounded, Adnan stood beside his men and shot enemies with his pistol. When all the rounds were fired, he continued to fight with his bare hands. There would be no retreat. 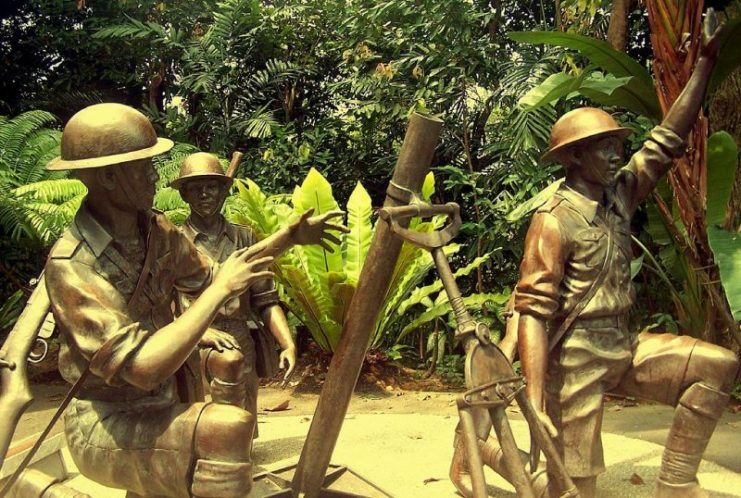 The Malay mortar crew on display at Bukit Chandu. Photo: Soham Banerjee / CC BY 2.0. After two days of heavy fighting, the Japanese managed to conquer Opium Hill thanks to their superior numbers. Once they took control of barracks, they found Second-Lieutenant Adnan Bin Saidi, severely wounded. Recognizing the man who had stubbornly refused to surrender and had cost them the lives of many soldiers, the Japanese hanged Adnan by his legs on a nearby cherry tree. Then they beat and stabbed him with bayonets until he finally died. On the following day, Singapore fell. Two days later, Adnan’s wife, Sofiah, gave birth to a girl.